Hidden in Sealskin Is Now Here, So Let’s Celebrate! 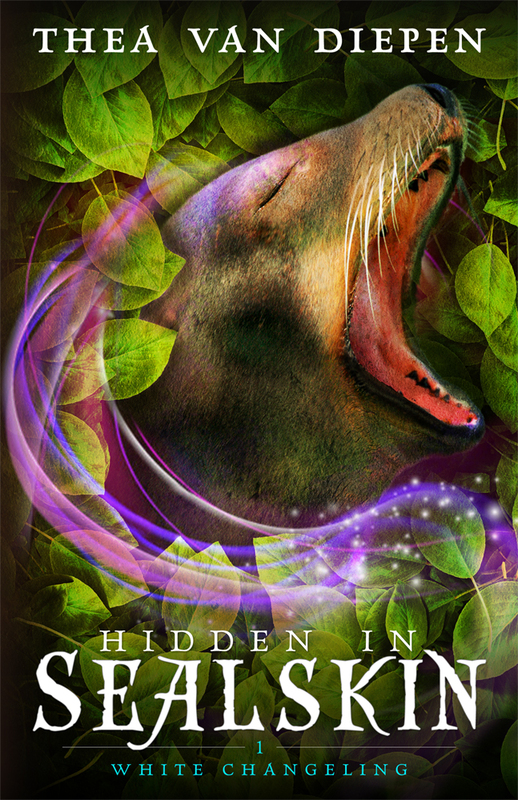 This is it: Release day for Hidden in Sealskin. The normal ebook price of Hidden in Sealskin will be $3.99 USD. The normal paperback price will be $13.95 USD. Which is all fine and dandy if all you want is the ebook. But let’s say you want both, or just the paperback. Or you want to use the paperback as a lending copy, or give it to a friend. If you buy the ebook first, then send me your receipt via the contact form on this site by September 28th, I will send you back a coupon for $3.99 off the paperback on the Createspace store. This coupon can be used any time, but the best time will be now, before the sale ends. Because sales. What if you want to get the Hidden in Sealskin paperback at the Edmonton Expo? Show me your receipt when you stop by and I’ll apply the coupon when you get your (signed!) copy there. A young not-quite-human woman, Minerva, is pulled back home to confront the people she hurt when she left, her origins, and what she must do now that everything’s changed. Send me your receipt for the ebook or paperback of Hidden in Sealskin, and you’ll get a special edition of The Tree Remembers, with a new cover, some tweaks to the text, and an author’s note. Like the coupon, this special edition of The Tree Remembers (worth $1.99) will only be available until Sept 28th. Total gain: both the ebook and paperback of Hidden in Sealskin, plus the special edition ebook of The Tree Remembers. Total gain: the ebook and signed paperback of Hidden in Sealskin, the special edition ebook of The Tree Remembers, plus a chance to meet and chat with yours truly! Without further ado, I present to you my third book and first novel, Hidden in Sealskin. Join Adren, our snarky outlaw protagonist, as she fights to get a cure for her insane unicorn and tries to work with Nadin, an awkward teenage boy, to steal a sealskin that has far more to it than anyone’s telling. As you dig in, may it bring you joy. What Do You Do After You Have Your Copy? ← Are You Ready to Enter the Matrix? 2 Responses to Hidden in Sealskin Is Now Here, So Let’s Celebrate! I’m getting the eBook right now but would like a signed paperback if possible. Sent me an eMail, please, and let me know how to go about it.